You must be a member of the Copenhagen Online Marketing Group to attend this activity. Would you like to join this group? This time we will focus on personal online branding. 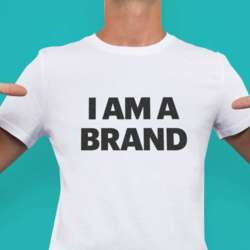 How you are a brand and what medium to use to maximize your own personal brand. This short presentation revolves around Earned Media, personal branding and why LinkedIn is the platform and attention the currency. Marketing Tech startup working across Earned Media, Data and Analytics. Their main product SHIELD Analytics quantify organic LinkedIn performance across individuals, teams and enterprises in the Earned Media space. Inspired by influencers, designed for business. business models (SaaS), design and innovation.